West Pier have been awarded the prestigious Partner in Customer Excellence accreditation by our partner Avaya for consistently receiving above average customer service feedback from its customers. West Pier are experts in and providers of business telephone communications and networking products as well as support and consultancy services. In 2015, 2016, 2017 and 2018 West Pier was awarded the prestigious Partner in Customer Excellence accreditation by our partner Avaya for consistently achieving significantly higher scores in customer satisfaction surveys. Our areas of expertise include on-premise business telephone systems, hosted telephony, contact centre solutions, Avaya telephone maintenance and support, internet connectivity, network solutions, Avaya Scopia video conferencing, business mobile phones, SIP trunks and business relocation services. With over 20 years' experience, West Pier Telecom have a wide range solutions which are tailored to meet the needs of all our customers, from the smallest business to multi-national enterprises and government bodies. West Pier uses an ISO 9001:2015 accredited quality management system for specification, installation and maintenance of voice and data systems. We are extremely proud of our expansive range of clients who operate in the travel, legal, medical and service sectors including such organisations as the Dorset Police, Harwoods Landrover, TUI Travel Plc (parent company for First Choice and Thomson), Lactalis McLelland (Seriously Strong Cheddar), EBay, AXA PPP, National Association Of Head Teachers, Age UK, JML, Royal Navy Destroyers and Sandhurst Military Academy. Our Avaya business telephone systems are recognised as number one in the world for IP telephony, cloud telephony, unified communications, voice messaging, video conferencing and contact centre (call centre) solutions. Renowned as an innovative forward thinking company, we are continually looking for new ways to improve our product and service offering so that our clients` systems are easy to use, easy to manage and cost-effective, giving them the competitive edge within their industry. At West Pier Telecom we ensure our clients receive the very best service by providing support throughout every aspect of your project cycle, from account management to pre and post sales. 2017 Avaya IP Office Contact Center has been named as the 2017 Unified Communications Product of the Year Award winner. 2017 Avaya Receives CUSTOMER Contact Center Technology Award for 2017. 2017 Avaya Equinox has been awarded 2017 Communication Solutions Product of the Year Award. 2017 Inbound Contact Routing Systems Market Share Leadership Award. 2017 Contact Center Applications Market Share Leadership Award. 2017 Contact Center Applications Vendor of the Year award. Avaya has been awarded leader in the prestigious "Gartner Magic Quadrant" for Contact Center Infrastructure for 16 consecutive years. Avaya are very much an innovator in their field consistently pushing the boundaries of telecommunications to deliver products that cater for the demands of today's working environment. 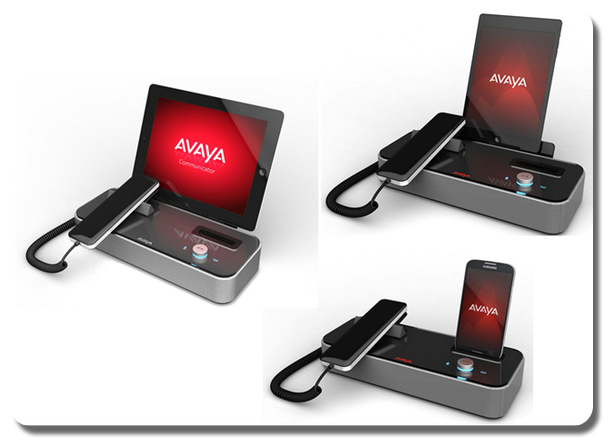 With robust, reliable, stylish and ergonomically designed products Avaya's range of equipment is fast becoming the industry standard for the SME market. No. 1 in North American Enterprise Telephony(1). No. 1 worldwide(2) and in the U.S.(3) in IP Telephony. No. 1 worldwide in Voice Messaging(4), Unified Communication(5) and Unified Messaging(6). No. 1 in Call Centres in North America(7), Western Europe and AsiaPacific(7). No. 1 in the U.S. in PBX maintenance services (3). No. 1 worldwide in the Enterprise Structured Cabling Solutions market(8). 1 Gartner Inc.; 2 Synergy Research Group; 3 InfoTech; 4 In-Stat/MDR; 5 The Pelorus Group; 6 Radicati; 7 Frost & Sullivan; 8 BSRIA Research.